Enjoy PATAGONIA HELITOURS scenic flights over Aysen marvels, and live an unforgettable experience! Fish where nobody else can! Connect lake Gl Carrera to Balmaceda airport in less than1h! Step on a glaciar , only a few minutes away from your hotel. 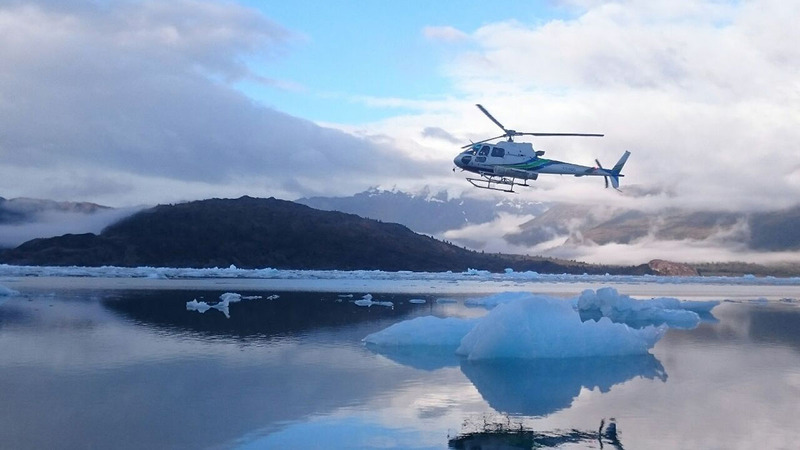 From the operations base at TERRA LUNA Lodge in Puerto Guadal, on the shore of Lake General Carrera, PATAGONIA HELITOURS and its Eurocopter B3 chopper for up to 5 passengers offers several scenic flights , transfers , and aereal services. Fly a helicopter, concret your dreams! Promotion: Overfight and landing to HIDDEN GLACIER CIRQUE from US$ 150/pers*!!! *PRICES may change depending on total number of passengers onboard & real flight time.